Currently happening at Kamwala Shopping World owned by China Hainan. 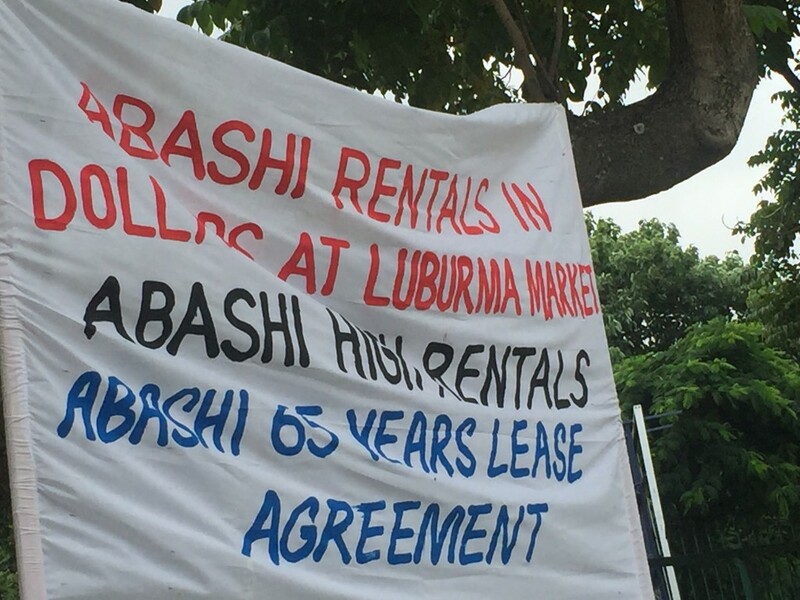 All shops have been closed as tenants are demanding the revocation of paying in US Dollars and 65years Lease Agreement. A chinese shop tried to open but was forced to close. Court hearing starts today. The PF Government promised these shops would empower Zambians but nothing. These Chinese have built Golden Bridge and Golden Peacock hotels using these rentals which are ridiculous. They are demanding $1200 per month even at these current exchange rates. Kindly help expose this victimization. We are slaves in our own country. The PF government gets shares of these spoils from their investors so why should they care about martketeers?